This post came from nowhere while sketching on an envelope. All of a sudden, there it was. A melting, a metamorphosis, a meditation on the nature of change and our resistance to it. 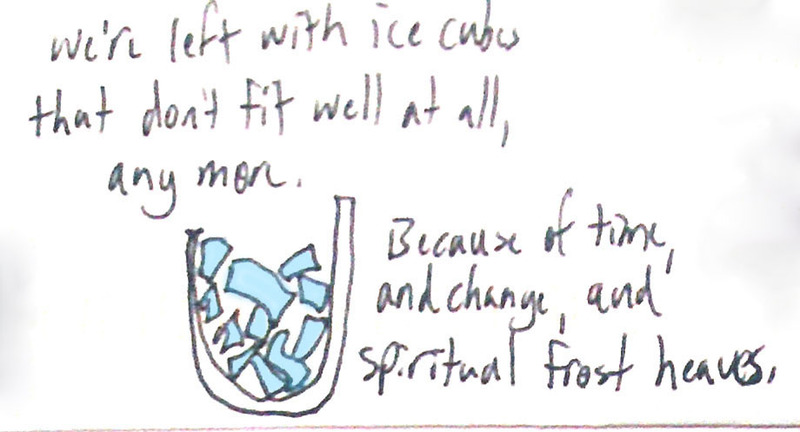 Originally, I framed the vessel as being filled, from the beginning, with a layer of ice, but I found myself wanting to point out that life has a way of freezing things up, not that we start that way—and that, once formed, the ice tends to crack and chip and break. And that our goal is to find ways of returning ourselves to the earlier state. 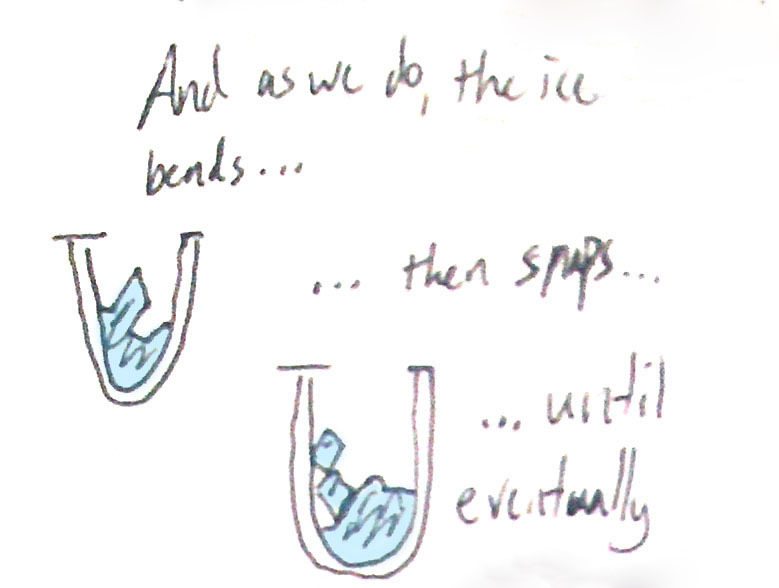 It came out of the pen with the ice already present, but on reflection, I felt like it needed the change. So, metaphor metamorphosis! When you’re melting, when metamorphosis starts, you don’t always get to choose in advance what’s going to happen. Thanks for reading. 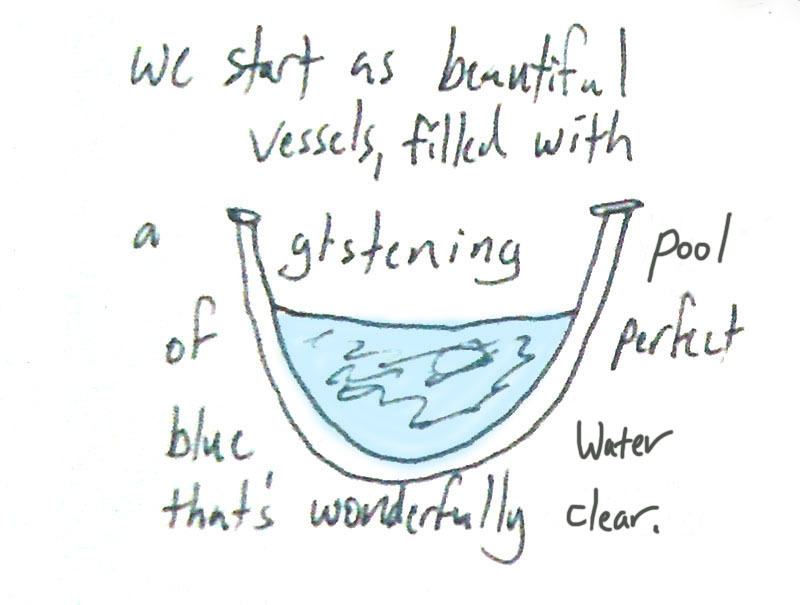 We start as beautiful vessels, filled with a glistening pool of perfect blue water that’s wonderfully clear. 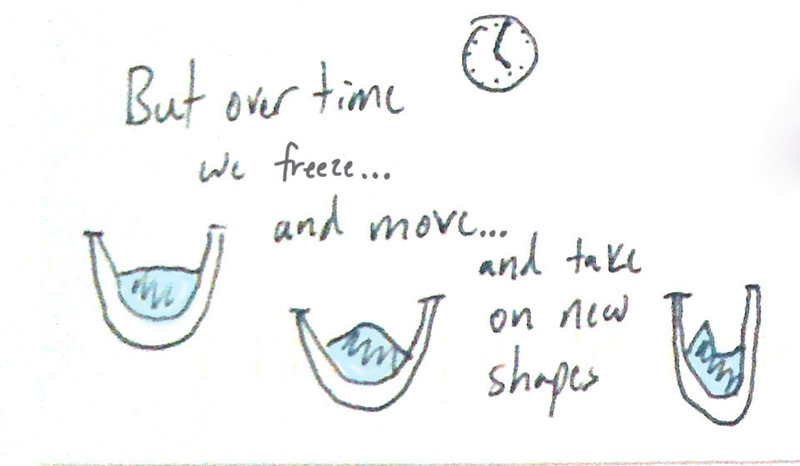 But over time, we freeze and move and take on new shapes, and as we do, the ice bends… then snaps… until eventually we’re left with ice cubes that don’t fit well at all, any more. Because of time, and change, and spiritual frost heaves. We need to remelt the ice. Let it thaw, let it start to run, and like springtime maple sap, re-take the shape of its container. 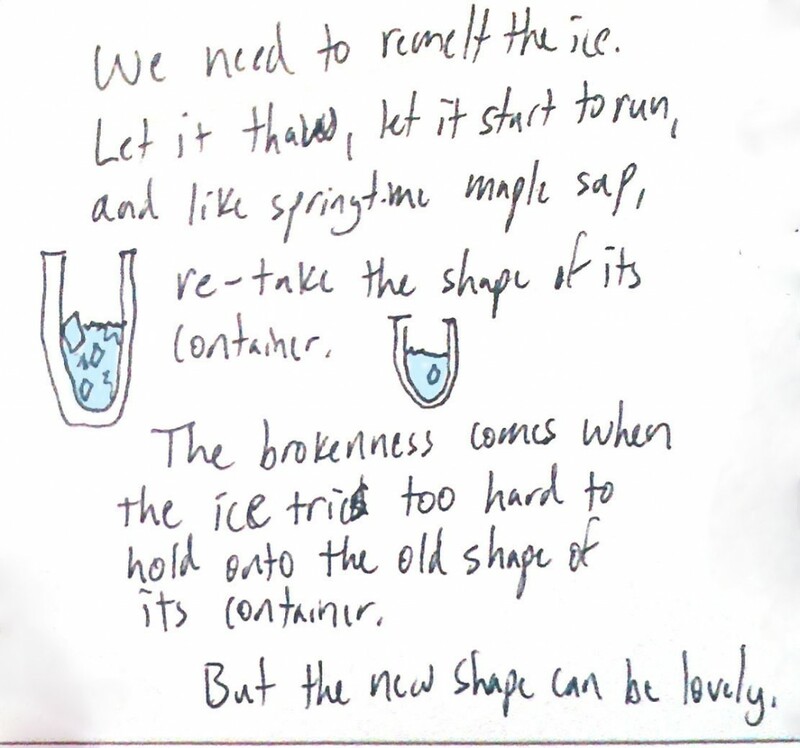 The brokenness comes when the ice tries too hard to hold onto the old shape of its container. But the new shape can be lovely. So call it therapy, or prayer, or acceptance, or whatever. But if you’re feeling broken, see if you can find some sun to help you fit your new shape.